I met Farah at the opening party ceremony for Syracuse Woman Magazine and was immediately impressed with her and the magazine. I read the whole thing while I sat eating a little something and was glad to be able to talk to her at that time. I’ve run into her one other time at another event and decided she and the magazine needed to be talked about. I hope you enjoy this interview. I was born and raised in a Chicago suburb where my parents moved after coming to the United States. I completed my bachelor’s degree in mass communications and news editorial in 2008 at Colorado State University-Pueblo. I moved to Upstate New York immediately after graduation to enter into the S.I. Newhouse School of Public Communications’ Magazine, Newspaper and Online Journalism program. 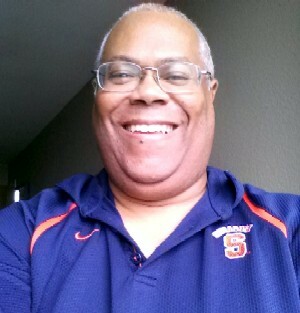 I completed my master’s degree at Syracuse University in May of 2009. I began working in the media in Central New York during graduate school as an editor for Eagle Newspapers and as a news correspondent and contributor to WCNY’s “Central Issues.” I also worked briefly for the Cortland Standard as a paginator and copy editor before accepting the position of SWM managing editor. 2. What was the genesis for Syracuse Woman magazine? Syracuse Woman Magazine is the sister publication of Rochester Woman Magazine, which has been in circulation for more than 10 years. The owners of RWM brought the concept to the Central New York area in the early fall of 2010 so that an SWM team could be formed. 3. Are your writers contracted, freelance, or just people you’ve asked to write stories for you that do it for free? Our writers are all contributors that accept assignments. We will most likely acquire permanent freelancers next year. 4. Do you take most of the pictures yourself, or do you have other photographers? 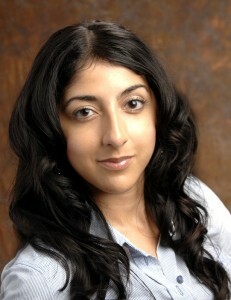 We have four local photographers who shoot for SWM. They are all women and they are all very talented. 5. You’ve had 3 local events surrounding the magazine, and I’ve been to 2 of them. What’s the purpose of these events and how do you feel they’ve gone so far? The Syracuse Woman Magazine Nights were created for many reasons. We wanted readers and supporters to meet one another. They also have the chance to meet the staff behind SWM. It also acts as an excellent venue for everyone to network with the right people. They have been very successful and we have two more coming up. These events also help promote local business that are hosting the SWM Nights. 6. Is it hard getting advertisers for your magazine with the types of problems other magazines have had in this economy? Our advertising numbers have been increasing with every edition. Our page count hasn’t been under 64 pages since we launched. Our latest edition (Sept./Oct.) finished at an astounding 84 pages. Advertisers have commented that our magazine contains useful and interesting content that they know people will read, and also, they have said our page and ad design, and print quality surpasses many other local publications. 7. What do you feel separates Syracuse Woman from Today’s CNY Women magazine? We are following our sister publication’s style, which has been around for 10-plus years. We are primarily focused on continuing what RWM has started in terms of the great editorial sections and magazine layout. 8. What’s your hope for your website long term and its impact on the magazine? We are always hearing from readers that they like getting a “sneak peak” with the online version’s release, but that they would much rather hold a copy of SWM in their hands. We will also feature an archives section in the near future so readers can access past magazine editions. 9. Where do you see men as being involved in the success of the magazine, and could you ever see men writing any of the articles? We have many male supporters and there are several stories with male voices. Our inaugural edition featured a local business owner who was a man and our July/August cover spread featured several male co-workers of the CNY Central female news anchors. We have had a few men contribute editorially as well. 10. What are your long term hopes for the magazine and its impact on central New York, the state, and possibly the country? Our main goal is to continue providing a leading, upscale glossy magazine for local readers in Central New York. We are getting great feedback and people love what we’re doing. I have even gotten feedback from publishers downstate, in New York City, who have said SWM looks amazing and has great content. Feedback like that only helps motivate us further. I absolutely love this magazine and I think it has set itself apart from any other publication in the region. It’s all about real women, women who we should all know. The women who are featured in and read SWM are amazing women and they make this region very special. Thanks for the great interview…I have not been to any of the events yet! Carolee a.ka. Blogging Biz Mom recently posted…Great promotional gifts for your customers! You should go to at least one, Carolee; I think you’d be a hit. Their next event is Wednesday at Syracuse Prime starting around 5PM; I haven’t decided if I’m going yet. I think I’m babysitting Grandkids for the next week or two…but possibly by the next event, I’ll be FREE!